Pickleball is taking over the world, one country at a time. Pickleball was introduced in Spain several years ago. Now a core group of Spanish pickleball players have formed the Spanish Pickleball Association, also known as Pickleball Spain. Parts of Spain are similar in climate and culture to Florida and Arizona. Many Europeans visit Spain for holidays and it’s a popular retirement area. Perfect breeding ground for growing pickleball enthusiasts. To introduce, promote and support the sport of pickleball to people of all ages and abilities throughout Spain and Europe. Third, Pickleball Spain is headed up by it’s president Michael Hess. Michael is an American who has lived in Spain many years and teaches sports marketing and management at a Spanish university. Michael is serious about pickleball and committed to having it take root in Europe. He will be successful. Michael led a huge research project with the USA Pickleball Association in 2011-12 to study why people were playing pickleball, their competitive behavior, and their view of pickleball. Michael has the passion, commitment and leadership skills to get pickleball going in Spain. Hi Jim, it seems Cabo Blanco Hotel has pickleball weekdays at 8am. You can give them a call to see if you could join in: +52 315 355 6496. 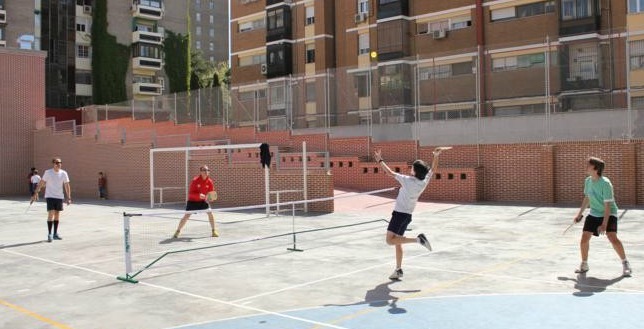 You also might want to look at our recent post about Michael Hess’ pickleball tours in Spain: https://blog.pickleballcentral.com/2016/03/07/pickleball-and-spain/ I would get in touch with him via his vivapickleballtours.com site and see if he knows any locations around Cabo as well. Whoops, haha! Sorry about that, I must’ve glossed over the address a little too quickly. Good luck getting more info from Mike, he leads a fun group. Anna, I’m traveling to France next August and would like to find some pickleball along the Riviera there. So I wondered if you had heard of any pickleball groups or racquet clubs with whom I can meet. Thanks so much for any info you might be able to share! I have a question about the research that Micahel Hess did. Is this research ever published and is there a possibility to see the research? I doing research myself to introduce Pickleball in the Netherlands. Thank you for a reaction already.